Comprised of more than 45 images this series begins with a set of inked and cast urethane strips. These are often tied or knotted and then photographed. 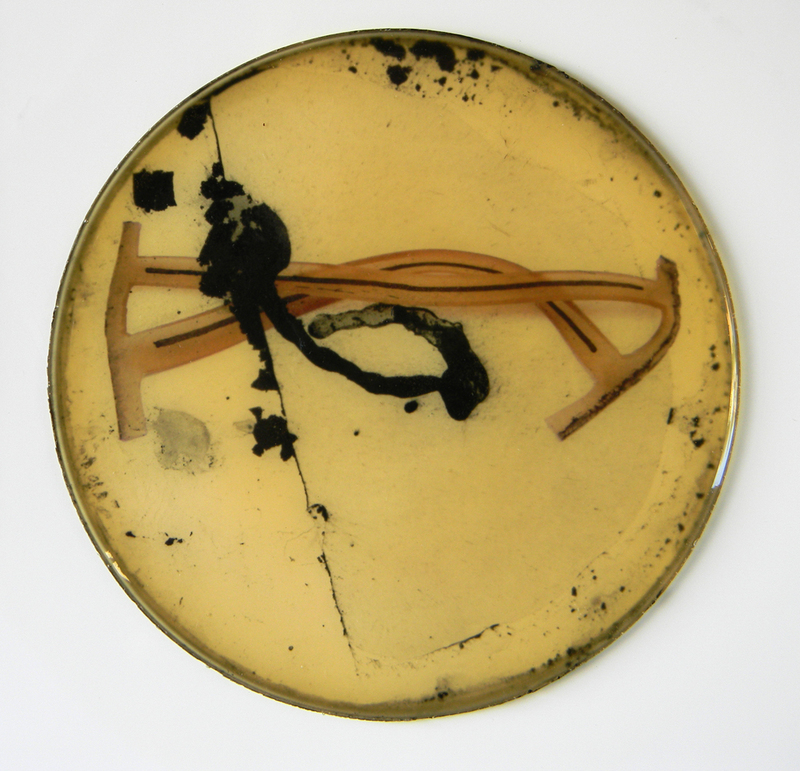 The photographs, digitally printed, have an overlay of a cast urethane disk and monotype.